If every truck driver decided to stop driving trucks, our economy would stop. Trucks are used to deliver goods for pretty much every industry. Without a trucking industry products wouldn’t get delivered. Imagine going to all the gas stations in town but none of them had any gas because no trucks delivered it. Or imagine going to grocery stores only to find them with bare shelves because truckers stopped delivering things like milk, meat, cheese, eggs, fish, and lettuce. Therefore, if we, as a society, want to be able to drive our cars, shop at our stores, eat at our restaurants, and live in a civilized and functioning society, we need trucks. Truckers haul everything everywhere, from raw materials to finished products. They keep the economy moving in a positive direction. Even though things get moved by ships, planes, and trains, none of them have the kind of expansive reach that trucks do. You can’t get an oceangoing ship to Iowa. A plane is not going to deliver to a grocery store in the middle of Montana. Moreover, if your town isn’t near train tracks, then trains won’t do you any good. But trucks use roads, and our country is covered with roads, providing easy access to places both bustling and remote. Our country could never have become what it is today without the trucking industry as its backbone. All in all, over 10 billion tons of various commodities get moved by trucks annually in the USA. That’s about $700 billion worth of goods. Trucks deal with mines, quarries, farms, warehouses, stores, restaurants and more. They’re vital to America. They’re its lifeblood. The trucking industry employs more than 800,000 drivers. Typically, drivers earn between $30,000 and $70,000 a year, which, in turn, feeds their families and helps send the kids to college. Many are worried about the coming of driverless trucks (and cars), and they should be. Driverless trucks could disrupt the entire economy in a bad way, putting hundreds of thousands of men and women out of work… unless men and women can prove they’re still vital to the process of shipping goods via truck in some way, such as loading and unloading packages. Even that is becoming increasingly automated, done by machines. Will computers and machines take over? God, we hope not! A healthy trucking industry made up of hardworking men and women makes for a healthy country. 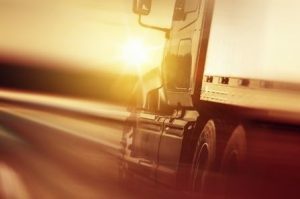 If you need reliable trucking services, contact Sun-Belt Heavy Haulers today.